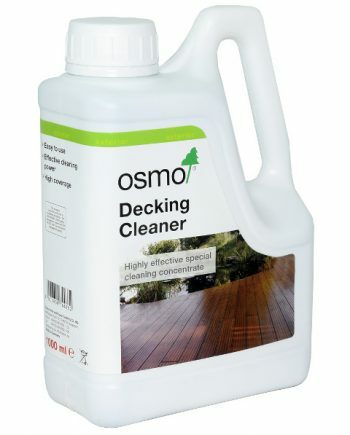 Osmo Decking Cleaner is a highly effective concentrate for cleaning untreated or oiled wooden decking and garden furniture. 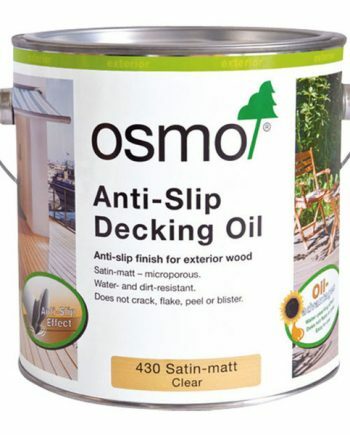 It is water soluble for quick, easy and thorough decking maintenance. 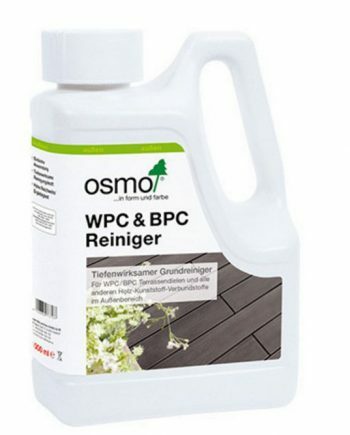 The surface becomes resistant against soiling and water. 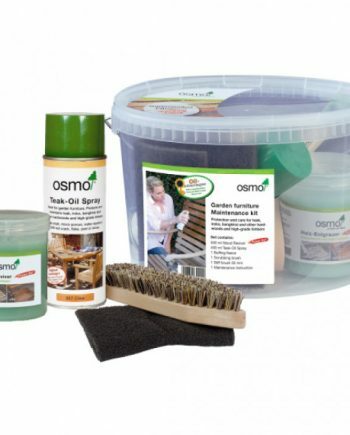 Specially developed for cleaning of wooden decking as well as garden furniture and fencing. 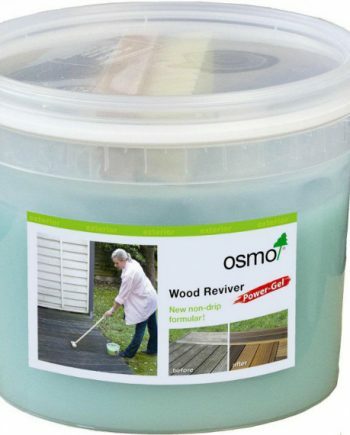 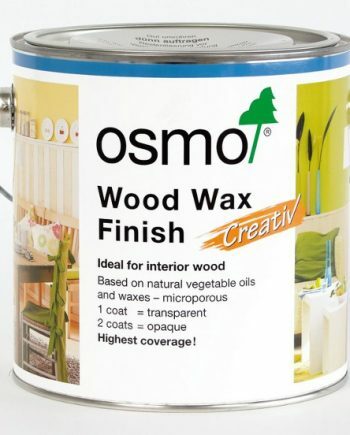 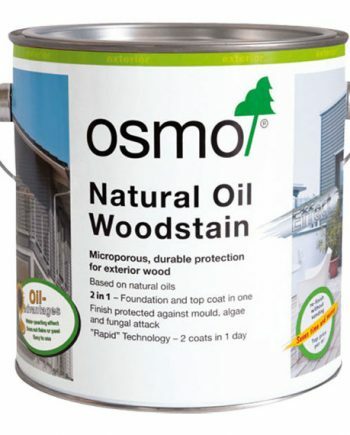 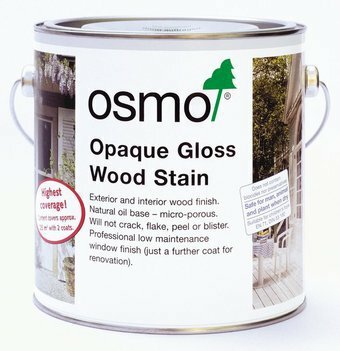 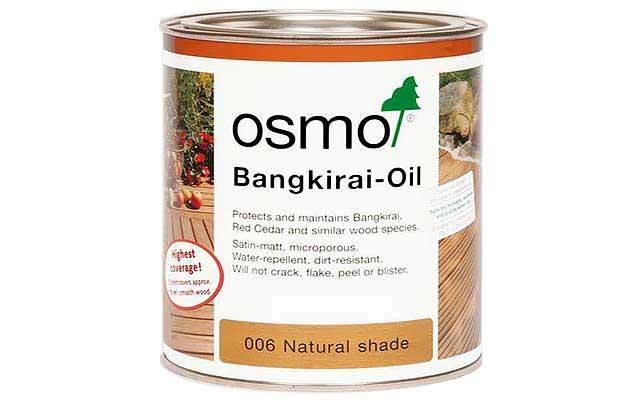 For the refreshing/treatment of already greyed areas we recommend the use of Osmo Wood Reviver Power Gel. 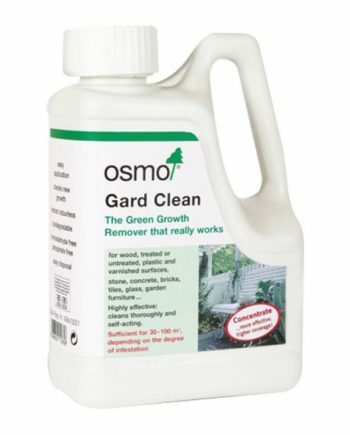 Remove loose dirt such as leaves and twigs from surface prior to application. 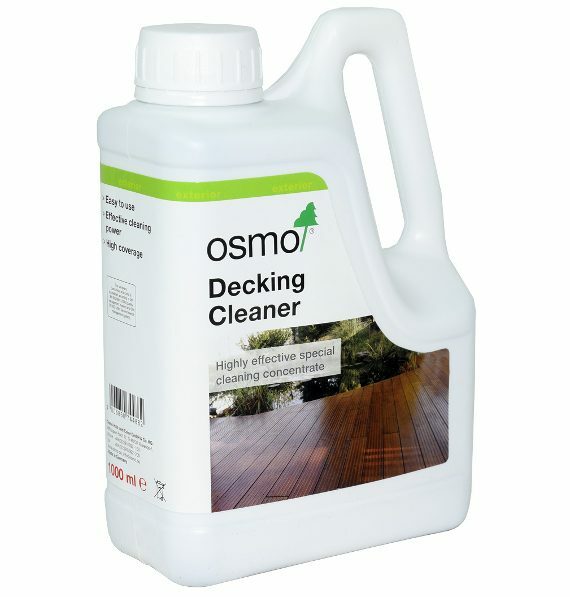 For professional cleaning and renovating of wooden decking use with Osmo Wood Orbiter.